Have you ever wanted your own personal YouTube consultant, ready and available 24/7? We thought you might… so we built one! The YouTube Channel audit tool from vidIQ is one of the most powerful video marketing tools you can access. It quickly shows you how your content is performing, what’s working, what’s not working, and what issues need your attention. Clicking on the ‘Channel Audit’ button on the left-hand tool bar of your YouTube screen opens up the feature, which includes 5 different tools. The first tool shows you how you are doing based on the last 30 days by default. You can hover over each section to get more detailed information. 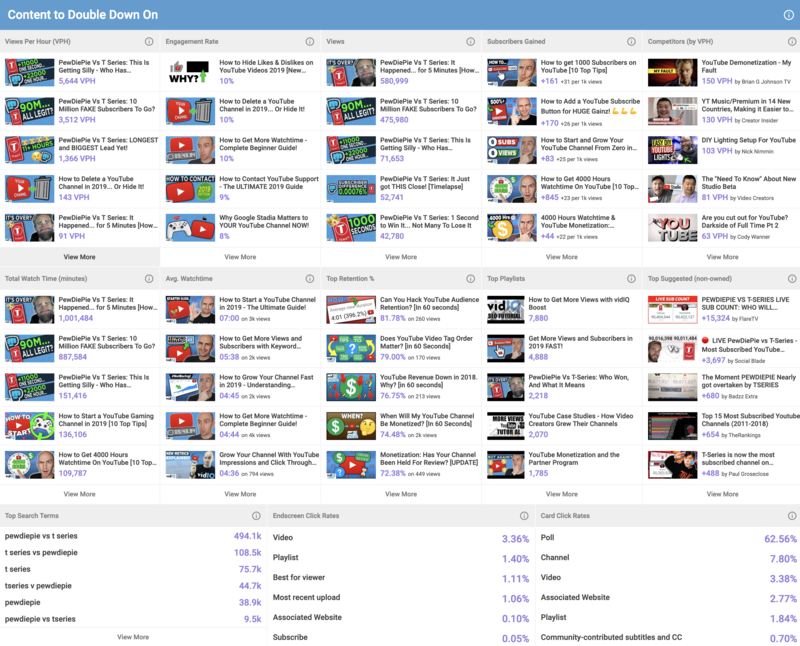 This section shows what&apos;s working for your channel based on Views per Hour, engagement rate, YouTube subscribers gained, competitor stats, total and average Watch Time , top audience retention, top YouTube Playlists, and traffic being sent your way by videos uploaded by other channels. Phew. Paid customers can click on "view more" to get up to 20 results for each section to give you even more golden data to play with. This section shows the videos are doing the worst based on lowest Watch Time, lowest like ratios, lowest retention, lowest views and the videos losing the most subscribers. You can use this information to determine if you should still keep making this type of content. 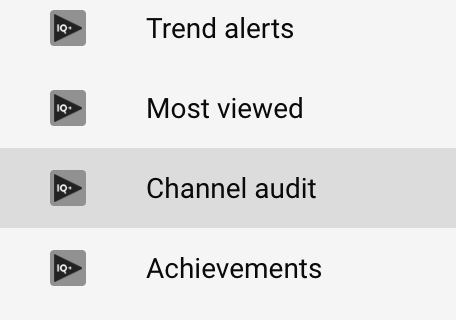 This section of the Channel Audit tool highlights if your video titles, descriptions or tags are too short or long. It will also point out whether you&apos;re missing any cards, endscreens, thumbnails or Playlists. How useful is that? Just click on any red numbers to see the videos that need to be corrected and click the edit button to fix them. A once impossible, needle-in-a-haystack job now takes 15 seconds to resolve!